Of course, we sell our cheeses at numerous FARMERS' MARKETS throughout the region. But we also do a lot of SHOWS and EVENTS as far away as Atlanta, Memphis, Indianapolis, Columbus, Asheville, Paducah, Nashville, and Cincinnati. We may be in your area soon, so check back often and see what’s going on. 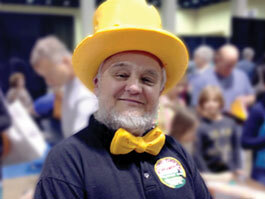 We love introducing our cheeses to new customers so If you have suggestions about events in your area, let us know. Yellow Cheese is actually artificially colored. That is correct, your cheddar is not yellow. It is totally delicious and absolutely safe to eat, yellow or orange color cheese is dyed with Annatto and have been since the sixteenth century.